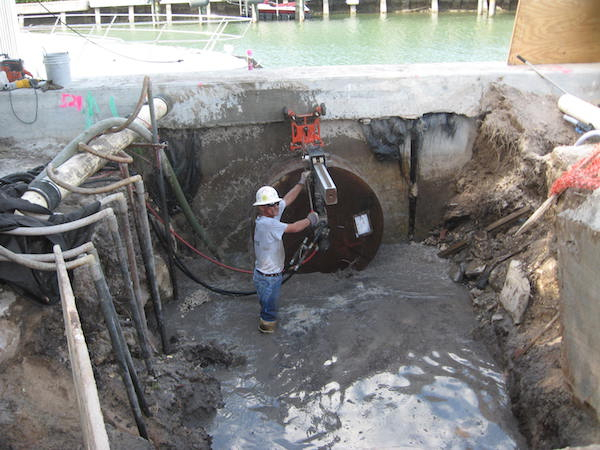 Specialized equipment for mechanical installations, drains, tie-ins, anchors, and aggregate analysis. Core drilling can be completed in almost every diameter, from ½” up to 60”, for plumbing, duct work, structural, and electrical installations. 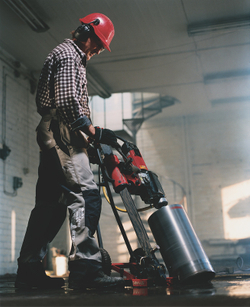 Material such as concrete block, concrete, asphalt, brick, and steel can all be core-drilled. Core drilling is typically completed using a wet process. If water is an issue, smaller holes can be completed using dry coring. 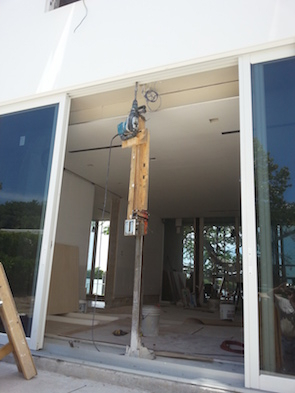 If a special angle is required, core rigs can be configured to accurately achieve desired openings. Extreme depths can also be achieved. 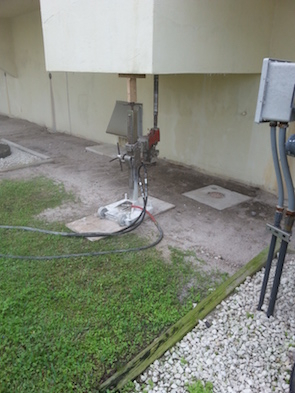 Concrete walls and Concrete block walls can be cored utilizing a post. There will be a small anchor installed to hold the drilling post. For block holes, we still have to drill a small hole and use a bolt the goes all the way through the wall to safely hold the drill post. If you have a couple of small holes that cannot have any additional holes created or patched, then it is possible to complete using a hand held core drill. If you are looking for holes for the purpose of anchoring, please see the anchoring page under specialty services. Call today for pricing just have the diameter of the hole in inches, depth of hole, material being covered and whether it is a floor or wall.